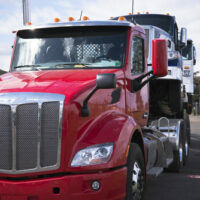 The Federal Motor Carrier Safety Administration (FMCSA) announced they are no longer going to pursue a proposed regulation that would require testing for sleep apnea, a disorder that has been cited for contributing to the cause of deadly railroad accidents and commercial trucking accidents. engineers have sleep apnea, according to scpr.org. Sleep apnea is a major safety issue for the transportation industry because drivers, engineers, conductors, etc. who are afflicted may wind up dozing off in the middle of the day. This is because they are repeatedly awakened and robbed of much-needed sleep as their airway closes and their breathing stops. The National Transportation Safety Board (NTSB) announced that it was “disappointed” by the decision to scrap this important public safety regulation. A spokesperson for the NTSB revealed that sleep apnea has been attributed to at least ten deadly accidents on railways and highways investigated by the NTSB over the past 17 years. The NTSB has been advocating for sleep apnea testing for railroad engineers after discovering that a Metro-North engineer fell asleep at the controls of a train in 2013 resulting in the death of four innocent lives. It was discovered that he had an undiagnosed case of sleep apnea. Most railroad companies require train engineers undergo vision and hearing testing every three years, at the very least. Some railroads also require the completion of an annual physical. However, there are currently no federal regulations governing in-depth medical examinations of railroad engineers. The number of commercial trucks on roads and highways has only increased as the economy has improved falling a steep decline stemming from the 2008 financial crisis. Approximately 3,852 people were killed in commercial truck accidents in 2015. This represents a 22 percent increase when compared to fatal truck accidents in 2009. If federal regulators are opting to capitulate and not regulate, one way to hold these companies responsible for failing to test for relevant health conditions is in the courtroom. If you or a loved one was seriously injured in a commercial truck accident or railroad accident, contact an experienced Miami personal injury attorney. Filing a claim against the company and holding them accountable in court will send a signal that these companies need to place a priority on public safety and mandate testing for sleep apnea and other serious health conditions. The seasoned and skilled trial attorneys with the Miami office of Alan Goldfarb, P.A. are here to help you and your family. We work tirelessly to hold negligent corporations accountable for their reckless or callous actions that resulted in bodily harm to you. Contact our office today to schedule a free case review.